This photo was taken at the same time as the prior page. It is viewing in a generally southerly direction, from the eastern end of town. 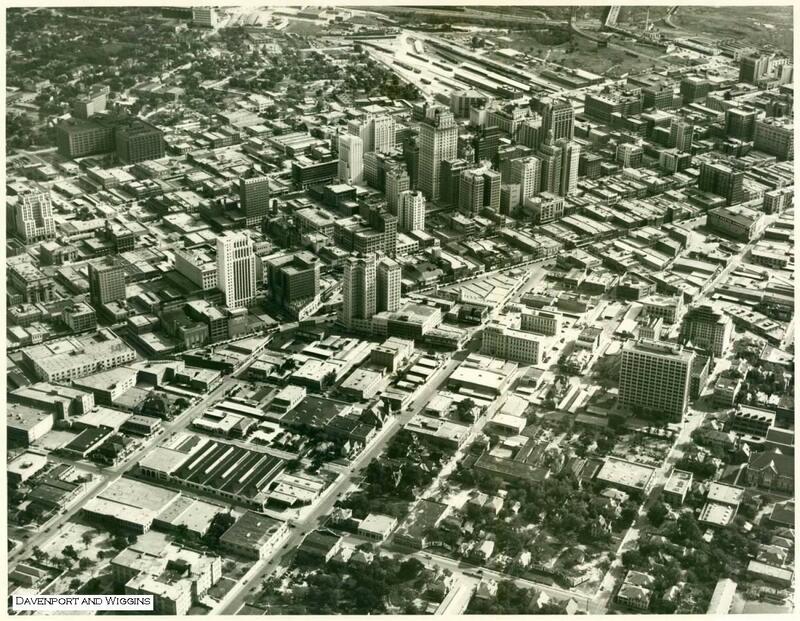 The tallest building seen, more or less in the upper center, is the Magnolia Building - still located at the northeast corner of Commerce and Akard.